Mystic Flowers and Gardens Los Angeles, California. Mystic Flowers and Gardens is located in the lobby of Watt Plaza Towers in Century City, Los Angeles, California. 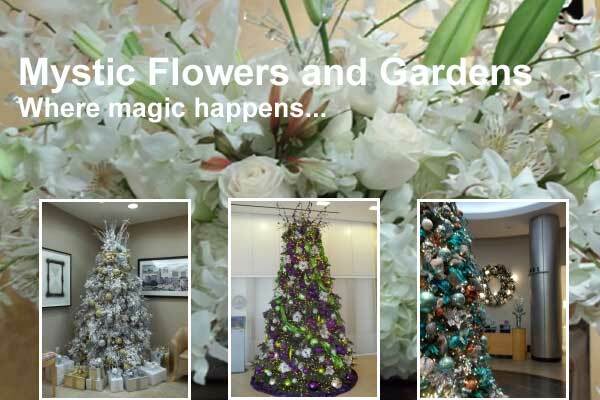 Mystic Flowers specialize in Holiday Decor for commercial properties ,office suites and private homes. Mystic Flowers and Gardens designs the most elegant and exciting Christmas Trees in your area. – Free Delivery in Century City. – Unique custom floral design and delivery all over Los Angeles daily.